Greyed out @ We <3 Roleplay | .:Soul:. Coming to We ❤ Roleplay on the 5th at 50% off even! They are perfect for those wanting to be golems, statues, or just… grey! On a more personal note… I am losing my father so I’ll be distant, please contact .:Soul:. Secretary for pretty much anything. She will reroute you to the .:Soul:. CSRs. More information on the personal stuff is here for those interested. This entry was posted in Appliers, Events, Female, Head Appliers, Male, New Releases, Skins, We <3 RP! 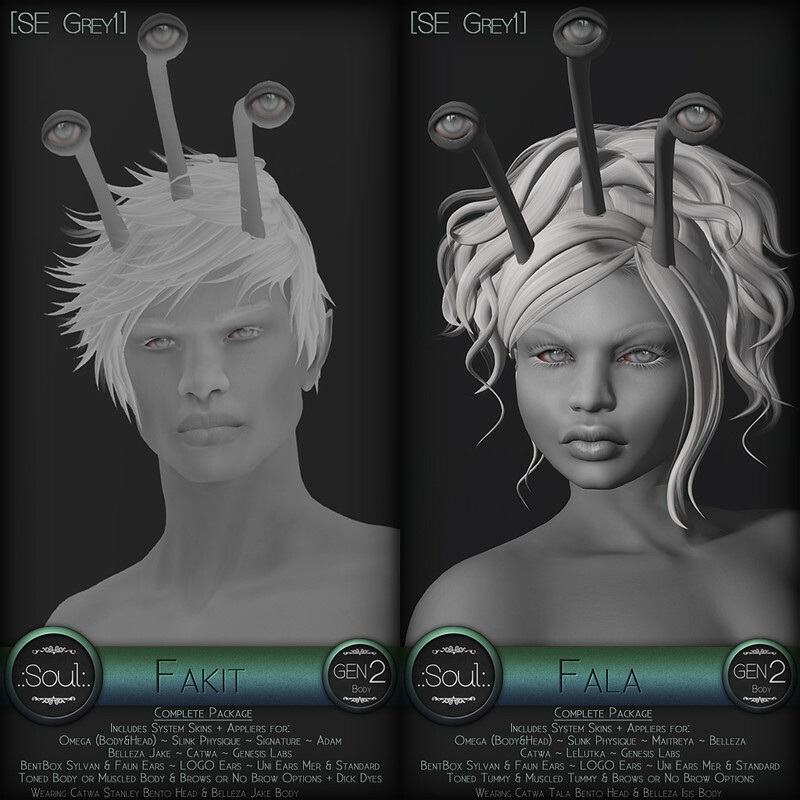 and tagged 50% off, Adam, Appliers, Belleza, Catwa, drow, Genesis, Genesis Labs, Golum, Gray, Grey, Lelutka, Maitreya, omega, Signature, skins, Statue, System Skins, We <3 Roleplay, We love roleplay. Bookmark the permalink. ← See You Later, Dad.